My goal as Lead Instructor is to become your mentor. The skills and knowledge I have accumulated over the last 20 years will become your asset and prove invaluable. The experienced staff at KWI will help you to achieve a successful career in welding; our instructional staff will provide you with the training and skills necessary to become, not only successful but a career oriented welder. 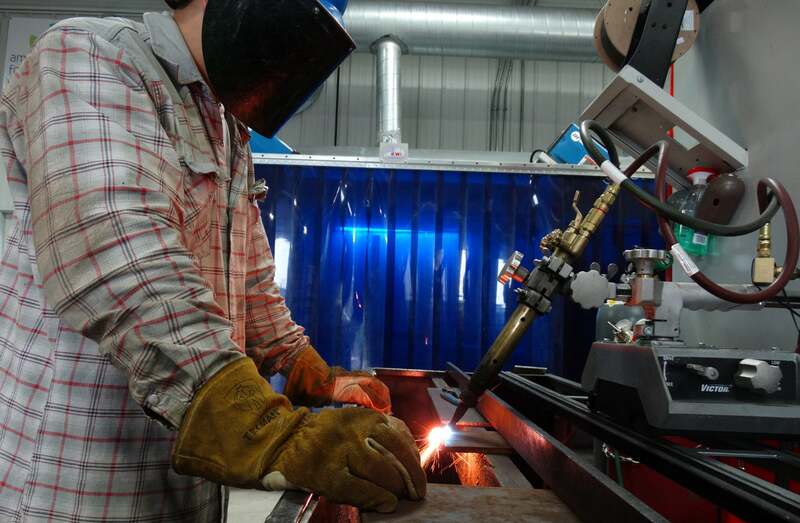 Becoming a successful welder means more than just running a bead. Beyond classroom study, and extensive hands-on training, KWI supports a lifetime job placement assistance program. We will be here for your annual brush-up, continuing education to learn the new processes as well as welding re-certification assistance. We’re here you and want to be a vital part in helping you to attain rewarding success in your career. KWI is dedicated to training individuals for the 21st century needs in the welding industry and strives to maintain current standards in the welding vocation. If hard work, access to state of the art equipment, support from dedicated instructors with a 10:1 student to teacher ratio, and a big return on investment are what you’re looking for, then you deserve the KWI experience. We firmly believe that when it comes to welding: the more your burn, the more you learn and ultimately the more you earn. I look forward to helping you achieve your goals and pursue a successful career in welding. You have my word that if you choose KWI nobody will work harder for you during your educational experience or after you graduate than the staff at the Kentucky Welding Institute.